Australia’s startup ecosystem is growing rapidly, delivering new and exciting opportunities for female founders to access support, training, and investment. At SheStarts we’re lucky enough to collaborate with a number of programs supporting female founders across their entrepreneurial journey. 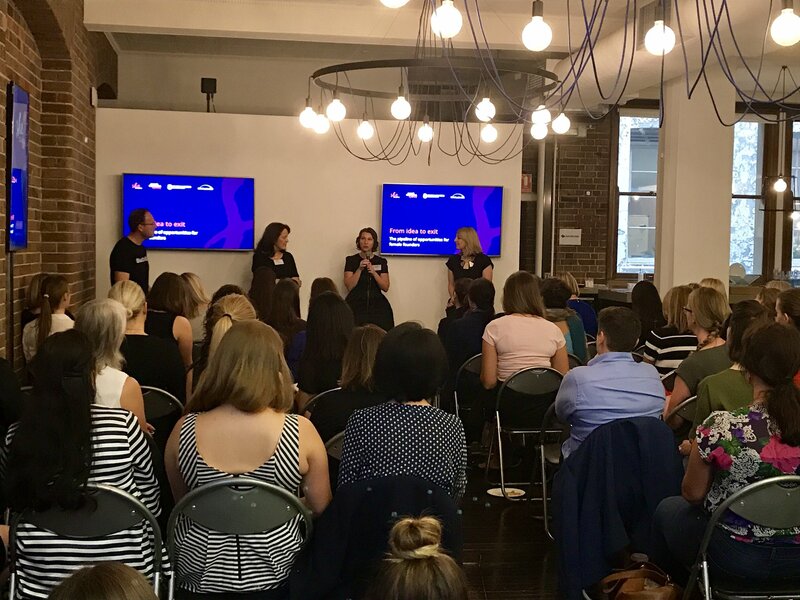 Last Wednesday, as part of Spark Festival, we heard from Fiona Boyd of Heads Over Heels, Liz Kaelin of Springboard Enterprises Australia and Nicola Hazell of SheStarts about the Australian startup landscape. What type of opportunities are available to me? I have an idea to solve a big problem through technology, but don’t know how to get started! SheStarts will help you build your MVP (prototype), get you from idea to launch into the market and ready to grow a high-impact global tech company. I’ve got a startup up and running and want to take the leap towards growth! Springboard’s E3 (Empower, Evolve, Escalate) might be the right choice for you. The program will equip you with the confidence, tools, and connections to give your business the best foundations for growth and future success. I’m ready to scale my business! Heads Over Heels will provide you with an incredible network of businesses and mentors to open doors that would otherwise take you years to knock down. I understand the importance of technology in business but I don’t know how to code! One of the biggest changes over the past five years is the use of technology as an enabler to build and grow businesses. Fiona explains “If you look at our cohorts now, there aren’t any businesses in our portfolio that are not enabled by technology in some way. In order to really scale your business, you have to leverage technology.” However, you don’t necessarily need coding skills to build a tech business. Should I be thinking global? Another important shift is the need to think global from day one. Nicola recalls a conversation she had with Topaz Conway, chair of Springboard: “It would make a world of difference if, by the time a founder comes and knocks on our doors, they’re already thinking global… That way they don’t come and say ‘We’ve been building this business, we’re doing really well, we’re happy and we’ve put the kids in a good school, so this is where we stop’. Then we won’t have to try and convince them to smash through that ceiling and go global”. The key to thinking is global from day one is encouraging collaboration to get female founders ready. “Not only are there more opportunities but there’s also more connectivity and opportunities to learn from others in the ecosystem,” Nicola says. “The generosity of spirit I see constantly between women in the ecosystem and means that any of us can say ‘We’ve got a founder in this space which I don’t have the answer to her question, but I think you or maybe one of your founders do’. And together we can solve those challenges much quicker and help these businesses to grow and scale globally”. With less than 4% of founders attracting venture capital in Australia and US being female, organisations supporting female founders have to work together. 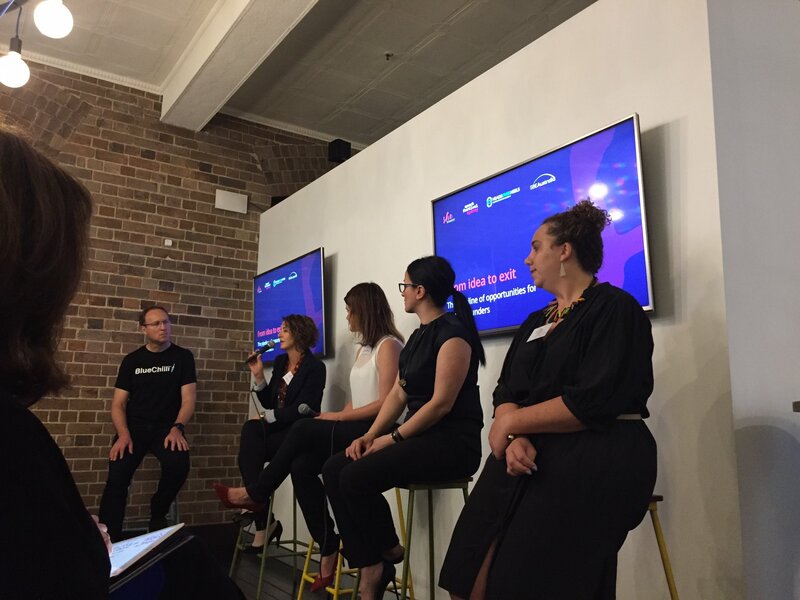 SheStarts, Springboard Enterprises Australia, and Heads Over Heels have a shared vision to change the ratio and see more amazing women there building incredible companies. As Nicola states “By working together, we’re stronger! I think that’s a realisation that women feel – that there is a tribe there and opportunity for all if we address this as a group”. We excited about the amazing opportunities which are now available to female founders at all stages of their business! If you’re a female with a burning passion to solve a problem with technology and an idea to tackle it we want to hear from you for SheStarts 2! Apply now. SheStarts is possible thanks to the contribution of: ANZ, MYOB, Microsoft and LinkedIn.